This Personal Financial Planning Service is a web based service designed to allow you to create your financial plan following the process described in the Memoirs of the Billionaire Cab Driver. 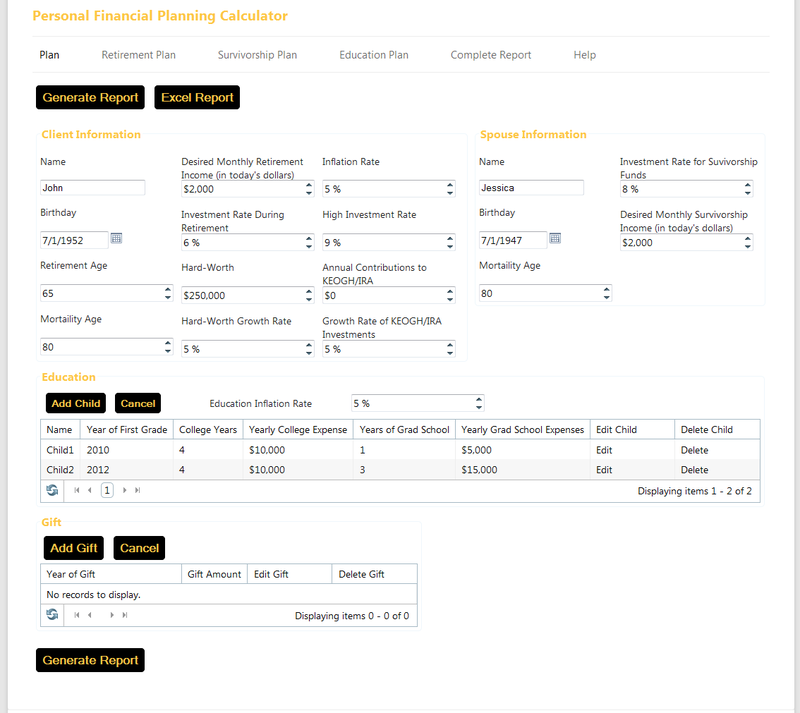 The Personal Financial Planning Software is a web based version of the software described in the book Memoirs of the Billionaire Cab Driver. Your purchase of the software service grants your license to access our web based system to create your own personal financial plan using based on the processes described on the book. The license is restricted to your own personal use and your are not allowed to use it for commercial purpose to generate financial for others.